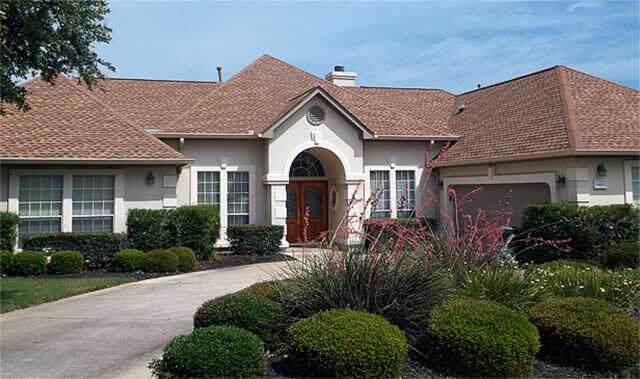 For GAF shingle roof replacement in Austin, RoofCrafters does the job right and on time. Determining which roof works best for you isn’t easy. Durability, looks, protection level, and cost all have to be considered. Most homeowners choose shingle roofing, which provides attractive, durable protection at a great value…and quality roofing can save you money on your insurance, year after year. Beyond basic black, shingle roofs are available in many colors and textures that can add great architectural interest to your home without breaking the bank. Due to its popularity and relatively easy installation, shingle roofing companies with less-skilled workers abound. The good news is, shingle manufacturers are setting rigid standards for the installation of their products to protect their integrity and reputations. GAF is the world’s largest shingle manufacturer, and they’re leading the charge on setting better standards. RoofCrafters carries the GAF MasterElite certification – the top level for contractors. (Only 3% of roofing companies qualify for this!) Because GAF is confident that RoofCrafters provides superior shingle roof installation, we are able to offer extended warranties on their products (i.e. wind, no dollar limits, labor and/or workmanship warranties). Learn more about the many options in GAF shingles with their interactive Roofing Wizard. In addition to the quality of the roofing and installation, ventilation also plays a key role in the life of your new roof. If the ventilation portion of your roofing job is not done to the specifications set by the shingle manufacturer, it will void the warranties they provide. Our Project Planners are knowledgeable: let them help you find the best combination of roofing products and ventilation for your home.